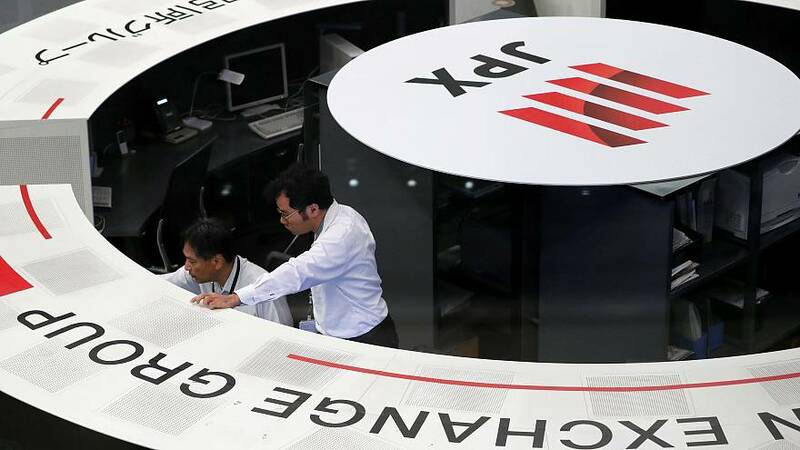 MSCI's broadest index of Asia-Pacific shares outside Japan was little moved in early trade after ending almost unchanged on Wednesday. Japan's Nikkei dipped 0.2 percent, while E-Mini futures for the S&P 500 were off 0.06 percent in very thin trade. Electronic Arts Inc tumbled 13.3 percent and Activision Blizzard Inc sank 10.1 percent. The Dow fell 0.08 percent, while the S&P 500 lost 0.22 percent and the Nasdaq 0.36 percent. Markets are still waiting on developments in the Sino-U.S. trade dispute after President Donald Trump offered little new to chew on in his State of the Union speech. In currency markets, the early mover was the New Zealand dollar which slid after local data showed unemployment, job gains and wages growth all missed forecasts. "The figures present a more modest picture of the labour market over the last year," said Michael Gordon, senior economist at Westpac. "Soft jobs growth and hours worked increase the risk of another weak economic print in the December quarter." The kiwi slid to $0.6772, losing 1.6 percent in the past 24 hours, as investors narrowed the odds on a cut in interest rates. Bonds rallied hard, with two-year yields dropping 7 basis points to 1.67 percent, well below the 1.75 percent cash rate. The Reserve Bank of New Zealand holds its first policy meeting of the year next week and markets are wagering it will take a dovish stance. Its neighbour, the Reserve Bank of Australia (RBA), caused ripples on Wednesday when it tempered a long-standing tightening bias and indicated the next move in rates could just as well be down as up. The Aussie dollar duly dived 1.8 percent to stand at $0.7110 and gave a broad fillip to the U.S. dollar. The dollar index has now risen for five straight sessions to reach 96.400, recovering almost all the losses suffered after the Federal Reserve all but abandoned plans for more rate hikes. Less lucky was the euro, which was dragged back to $1.1366 in the wake of a dismal reading on German industrial output. The dollar could make no headway on the yen, which benefited from its own safe-haven status, and idled at 109.93. It broad gains still put pressure on gold, which eased to $1,306.84 per ounce, slipping further from last week's top of $1,326.30. Oil prices were underpinned by signs of strong U.S. demand for distillate products and tightening global crude supply. Brent crude futures gained 71 cents higher on Wednesday to settle at $62.69 and were yet to trade. U.S. crude eased 6 cents in Asia to $53.95 a barrel.